The Mustangs crowned a new State Champ with Matty Van Riel. The Junior is the first underclassman to win a State Championship for the wrestling program. Van Riel started the tournament off with a 10-1 major decision over Daniel Hristov of Spring Valley. He then defeated Nick Smith of McQueen in the semi-finals by Technical Fall winning 15-0. 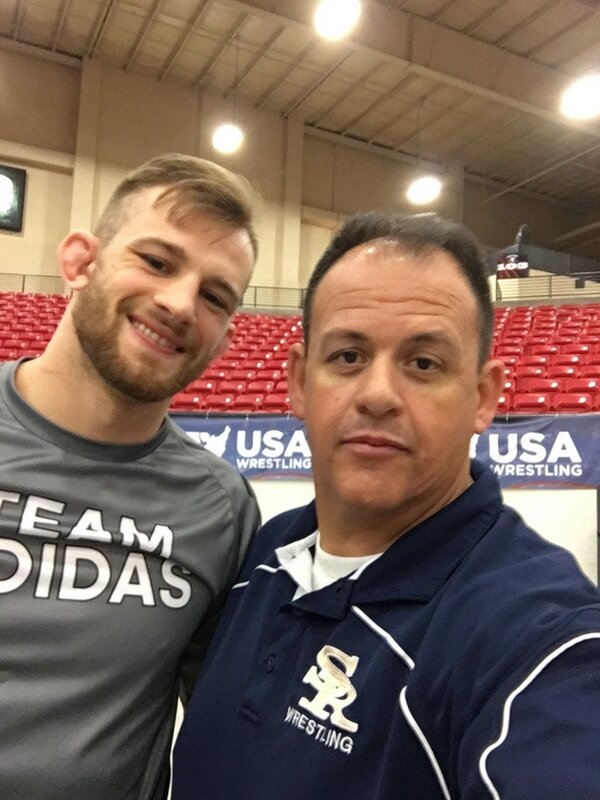 In the finals, Matty faced Corey Sego of Spanish Springs. Van Riel controlled the match and won by a final score of 7 to 3. 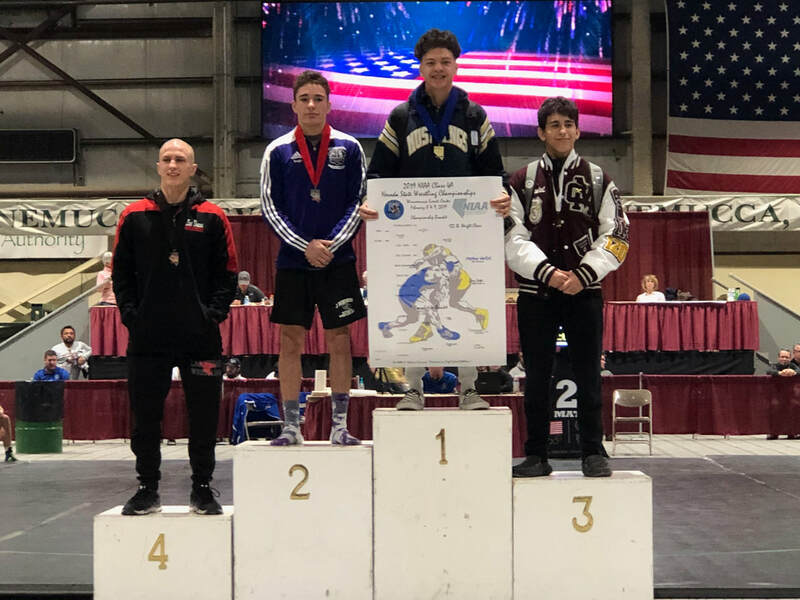 The Mustangs placed third at the Nevada State Wrestling Championships held in Winnemucca, NV. It was a tough two days of wrestling. Spanish Springs placed 1st for the second consecutive year and Green Valley placed second. This was the highest state finish for the Mustangs in school history. The Mustangs also placed the most they have ever with 6 wrestlers placing at the state tournament.We had 4 wrestlers in the finals. Leading the way was Matthew Van Riel who was the state Champion for the 132lb. weight class. 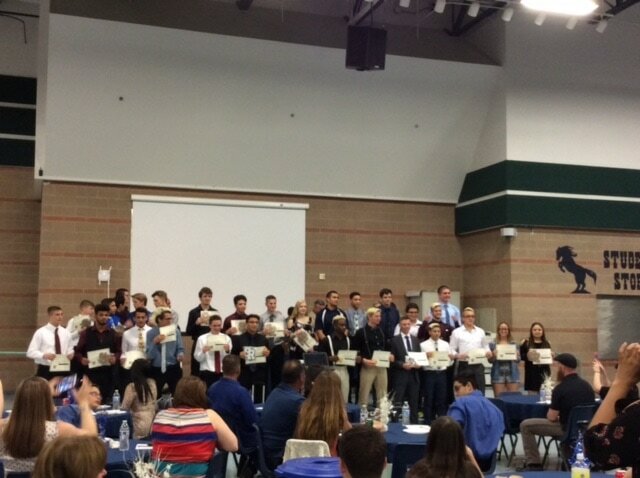 Triston Curtis, Kody Presser, and Noah Gallardo placed 2nd, while Marc Williams and Sammy Gallardo both placed third. The Mustangs are excited for the upcoming season as they return 7 of their 9 who qualified for the tournament. Great year Mustangs. The Shadow Ridge Mustangs placed 2nd at the Mountain Regional Tournament this season. Cimarron Memorial placed first, defeating Shadow by a score of 231 to 228.5. The Mustangs placed 7 wrestlers in the finals and won six of those matches. A total of 9 wrestlers qualified for the State tournament. 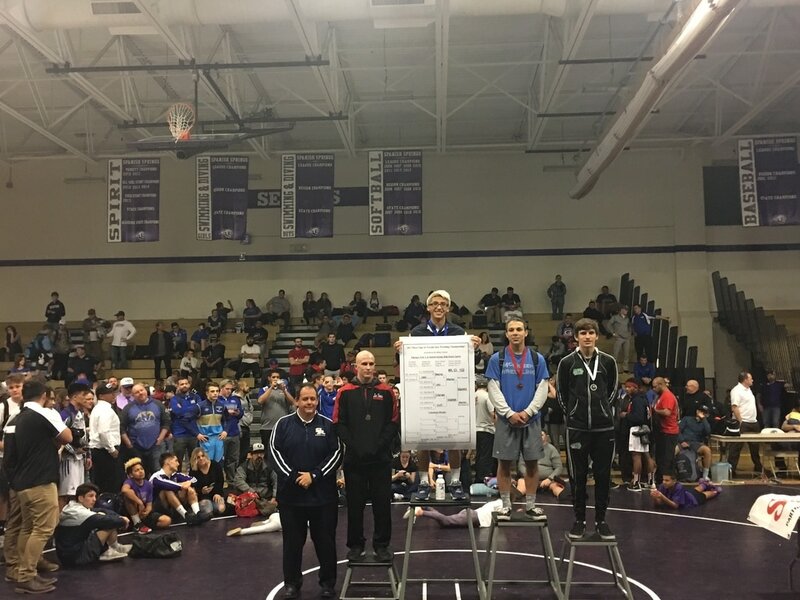 Winning Regional titles were Freshman Sammy Gallardo (106lbs. ), Triston Curtis (126lbs), Matty Van Riel (132lbs. ), Weston Presser (138lbs. ), Kody Presser (170lbs. ), and Noah Gallardo (195lbs.). Placing second at the tournament was Marc Williams (160lbs.) and placing third were Alexis Estrada (126lbs.) and Gabe Talledo (120lbs.) The story from the Nevada preps is below. Shadow Ridge has earned its first All-American in school History. Tehani Soares competed at the US Marines National Cadet Championships in Fargo, North Dakota. 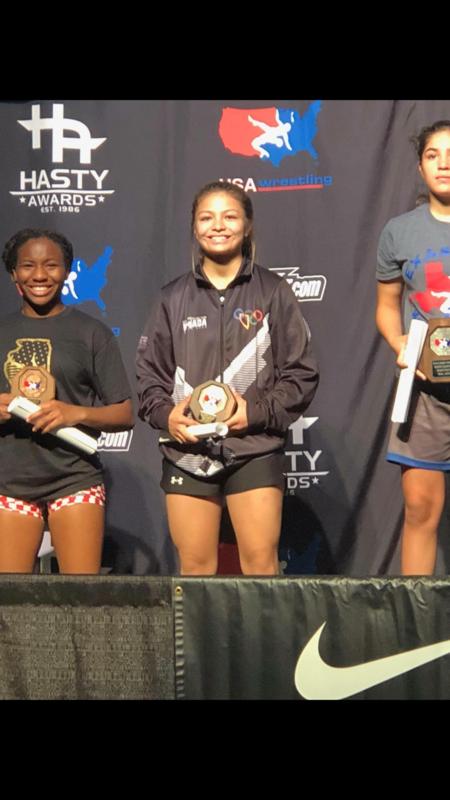 Tehani placed 4th at the most prestigious high school tournament in the Country. 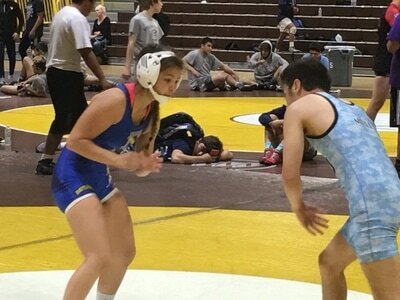 She was recently ranked number 10 in the Country for her weight class and is for sure to move up in the USA Wrestling rankings. Great Job Tehani. The Mustangs had a great off-season this summer. 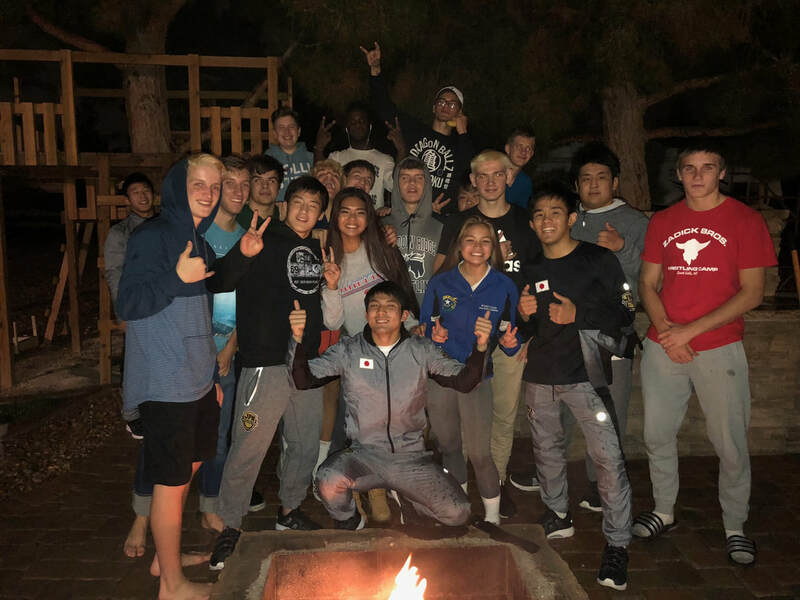 They traveled to several out of state tournaments from Vista, CA to Temecula, Ca, to Peoria, AZ where they participated for the first time in the Liberty Summer Duels and to Pocatello, Idaho. 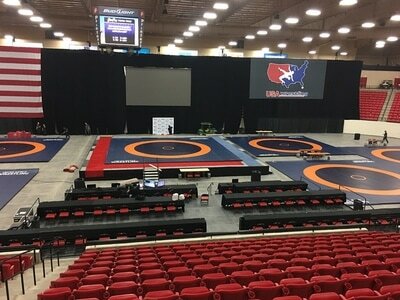 Some or our wrestlers were able to wrestle 30 matches while in Idaho. Not only did we wrestle hard, but we had fun doing it. 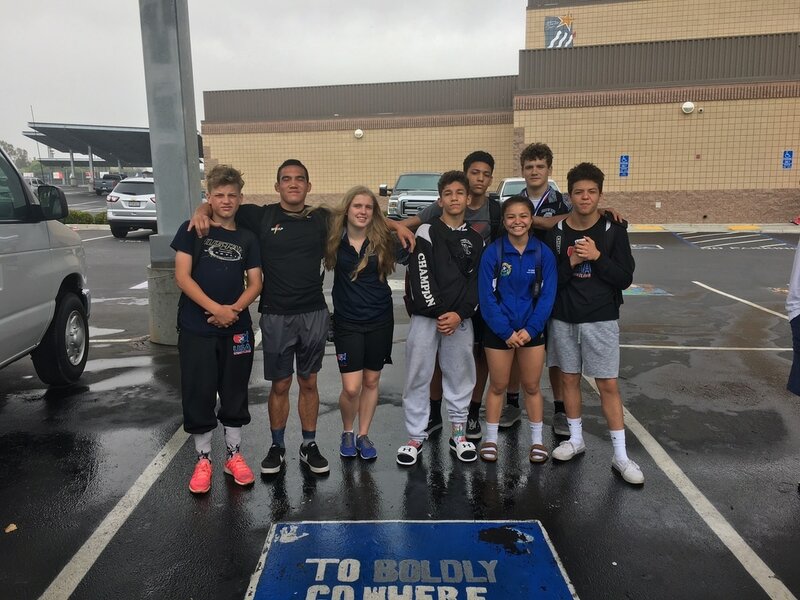 While in Idaho, the Mustangs represented Nevada in the Turf War Duels, where they faced teams of all-stars from other Western States. 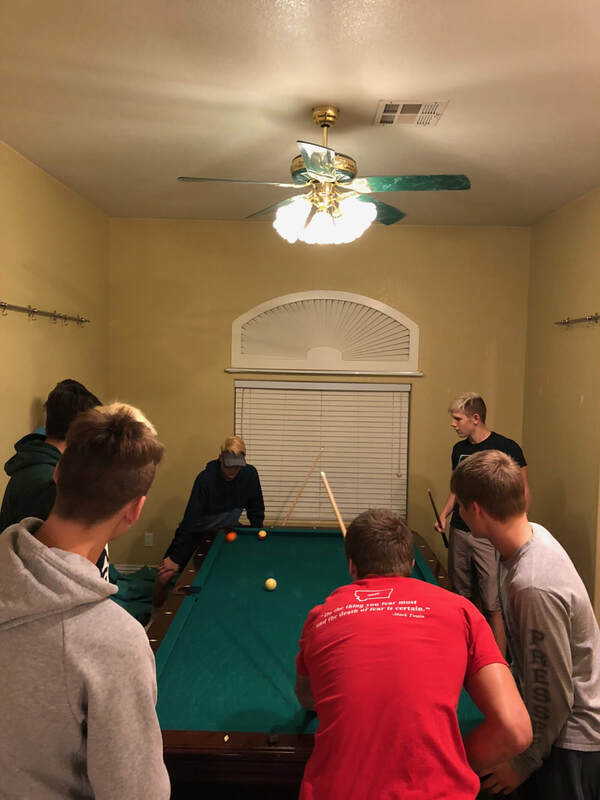 The Mustangs stayed a whole week in Pocatello, and faced some great competition. The Mustangs left on Thursday and spent the day at Lagoon Amusement Park in Utah. 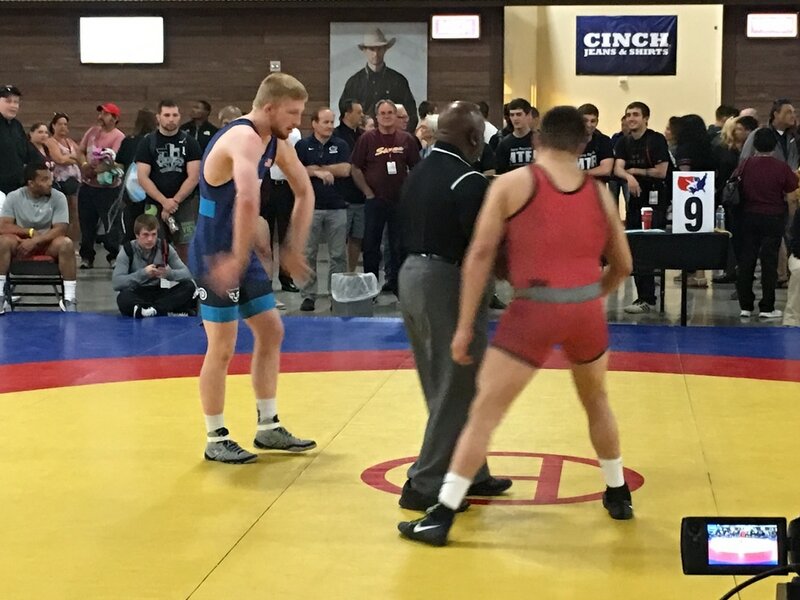 On Friday, they wrestled 5 states in Greco and then on Saturday, they faced 5 more states in Freestyle. They spent their off day at Lava Springs where they were able to river raft and soak in the hot springs. They then wrestled all three styles on Monday, Tuesday, and Wednesday. Here are the results from Day 1 of the Turf War Duels. Keep in mind these were all star teams from other states. Sam Gallardo - 3rd Place, 98lbs. Gabe Talledo - 2nd Place, 120lbs. Triston Curtis - 1st Place 132lbs. Weston Presser - 3rd Place 145lbs. Noah Gallardo - 1st Place, 170lbs. Kyle Anderson - 2nd Place 195 lbs. Matthew VanRiel - 5th Place 138lbs. Jake Anderson - 5th Place 152lbs. Marc Williams - 6th Place 182lbs. Sam Gallardo - 3rd Place 100lbs. Trent Smith - 2nd Place 106lbs. Gabe Talledo - 5th Place 120lbs. Weston Presser -2nd Place 145lbs. Noah Gallardo - 1st Place 170lbs. Kyle Anderson - 5th Place 195lbs. Matthew VanRiel - 4th Place 138lbs. Tano Pascual - 5th Place 152lbs. Marc Williams - 5th Place 182lbs. Trent Smith - 1st Place 106lbs. Gabe Talledo - 2nd Place 120lbs. Alexis Estrada - 6th Place 132lbs. Weston Presser - 1st Place 145lbs. Jake Anderson - 4th Place 145lbs. Marc Williams - 4th Place 182lbs. 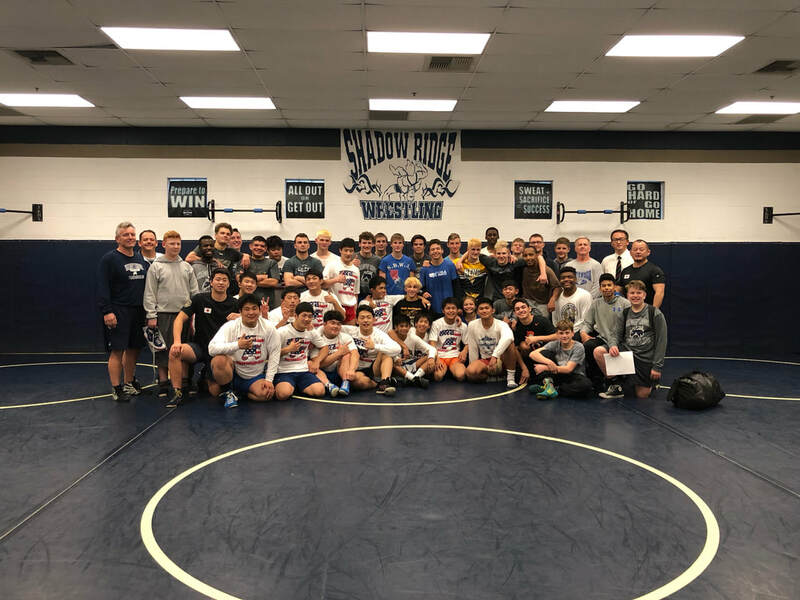 The Shadow Ridge Mustangs had a unique opportunity to host some of Japan's finest wrestlers, as an all-star team from Japan paid a visit to the Mustang campus. 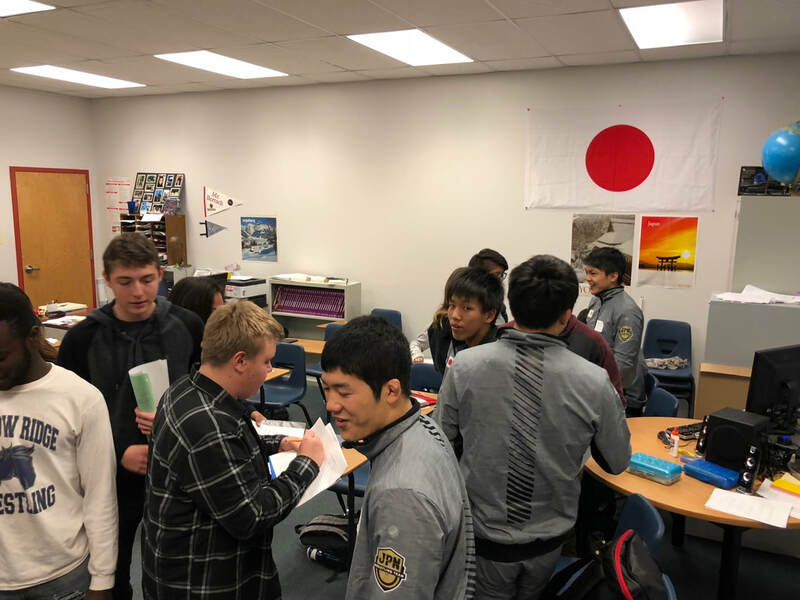 In this cultural exchange, wrestlers from Japan were dropped off at school on Monday morning and attended the Japanese class taught by Coach Berch. 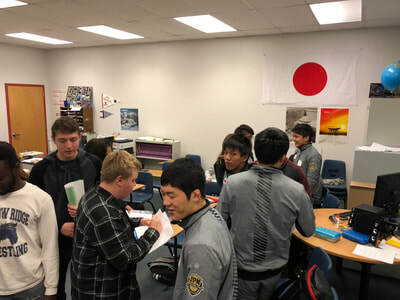 The students were paired up with American students who are learning the Japanese language. 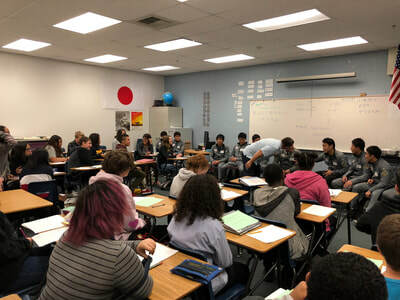 They attended class, went to lunch, and mirrored one of the students from Mr. Berch's Japanese class. 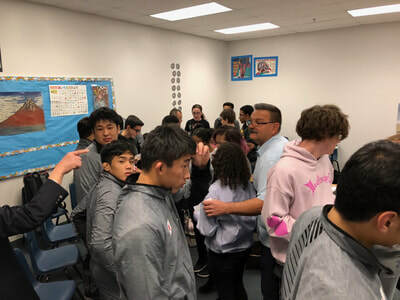 After school the wrestlers participated in a wrestling practice with your Mustang wrestlers. At practice, Coach Tooru Nagawa showed some great technique to our wrestlers that can be used on the mat. After practice, several wrestlers took their counterparts home to spend the evening with their families. Coach Spendlove and McKee cooked an exceptional dinner of BBQ Tri-tip, baked potatoes, and Mac and Cheese. The wrestlers played games like Volleyball, Foosball, Ping Pong, and Basketball. It was a great evening of fun and entertainment. 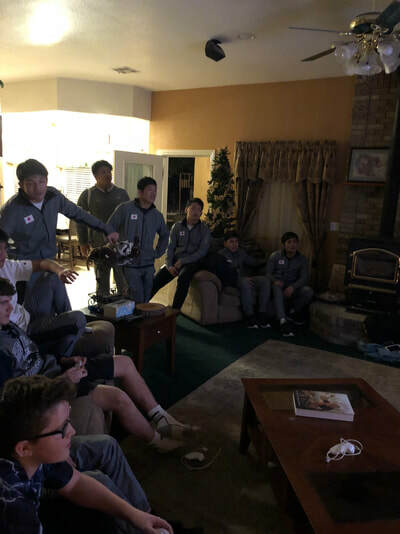 Coach Johnson hosted the Japanese coaches to dinner and the watching of the NCAA Football Championship game. We would like to thank those families who participated in the event. Some of the wrestlers even made off with some Japanese gear. 2nd Place - Gabe Talledo 108lbs. 4th Place - Tehani Soares 113lbs. 1st Place - Triston Curtis 120lbs. 3rd Place - Weston Presser 126lbs. 1st Place - Matthew VanRiel 132lbs. 4th Place - Jake Anderson 138lbs. 2nd Place - Kody Presser 152lbs. 4th Place - Noah Gallardo 160lbs. 3rd Place - Marc Williams 170lbs. Tehani Soares Girls Champion at 108lbs. Gabe Talledo - 5th Place 108lbs. Triston Curtis - 5th Place 122lbs. Matthew VanRiel - 3rd Place 134lbs. Kody Presser - 5th Place 154lbs. Noah Gallardo - 4th Place 162lbs. December and January has been a busy month for your Mustangs. Sorry for the delay of posting results. I'm just a little behind. The Mustangs have participated in several Tournaments in the past Month. Lets start off with the first tournament of the year, the Charger Duels. The Mustangs made it all the way to the finals by beating Arbor View 37-33 in the Semi's. The Mustangs lost to the Green Valley Gators in the finals to place second in the tournament by a score of 54-18. The Mustangs were giving up 4 weight classes that they were forfeiting. It was a valiant effort. Before the Christmas break the Mustangs also participate in the Southern Nevada Championships hosted by Silverado High school. It was an individual Tournament and your Mustangs placed 1st. Parents and Wrestlers, the Shadow Ridge wrestling expectations are now online. You need to read, and sign the expectations, both parents and wrestlers in order to compete in this upcoming season. Please hand those signed forms to Coach Gledhill, who will keep those on file for the wrestlers. 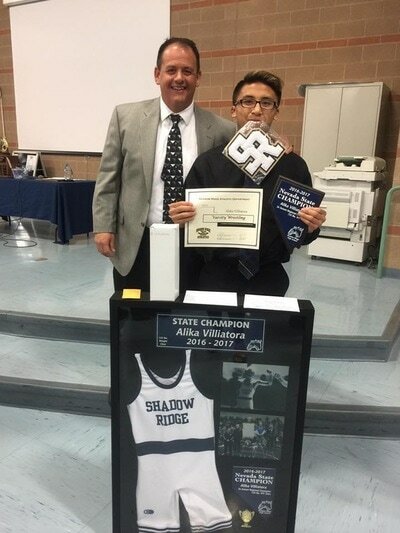 Parents and Wrestlers are held to a high standard here at Shadow Ridge High School. We expect a great season of wrestling as well as academic and behavior success. Thanks for all you do. 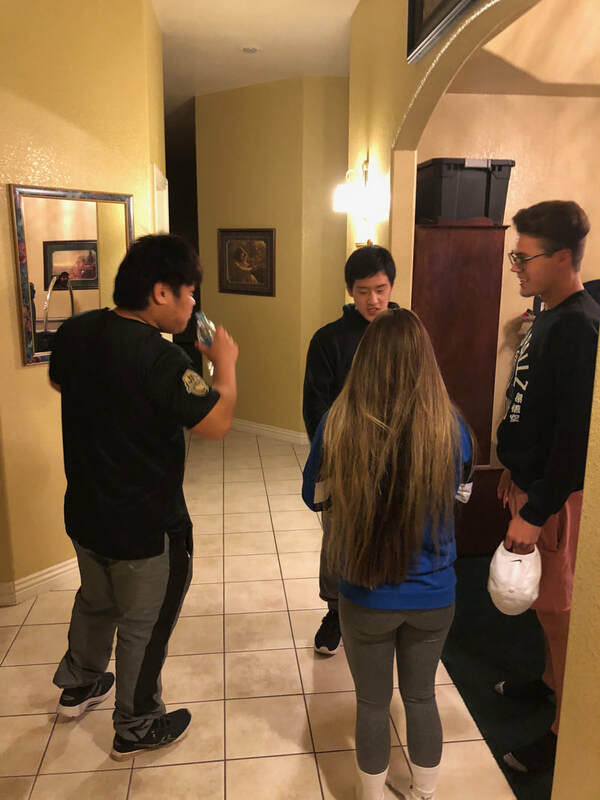 Parents, the off season is now upon us. We will be practicing from here on out every Tuesday, Wednesday, and Thursday from 2-4 PM. All practices will be in the wrestling room. Wrestlers need to bring fresh clothing and running shoes. This will go until the first official practice in November. At that time we will switch to daily practices. Wrestlers need to see coach Gledhill for all fundraising and forms. These are the most kids that have placed at the US Open in Shadow Ridge History. They did a fantastic job. 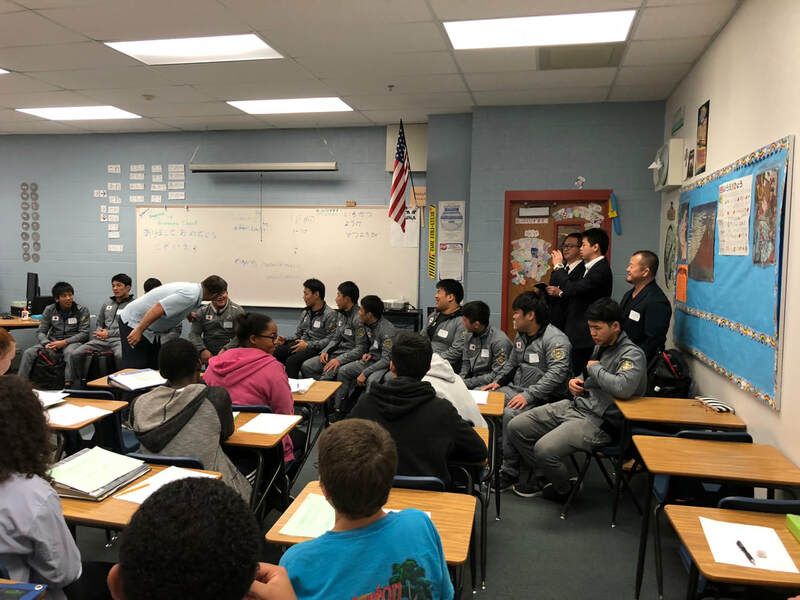 The team has also traveled to San Diego to wrestle in their qualifier at Vista High School as well as to Baldwin Park, California and participated in the qualifier at Sierra Vista High. At Sierra Vista High School we took 10 wrestlers and came home with 18 medals. We do have some upcoming tournaments that we will be attending. We will be participating this weekend in the Nevada State Championships for Freestyle and Greco. 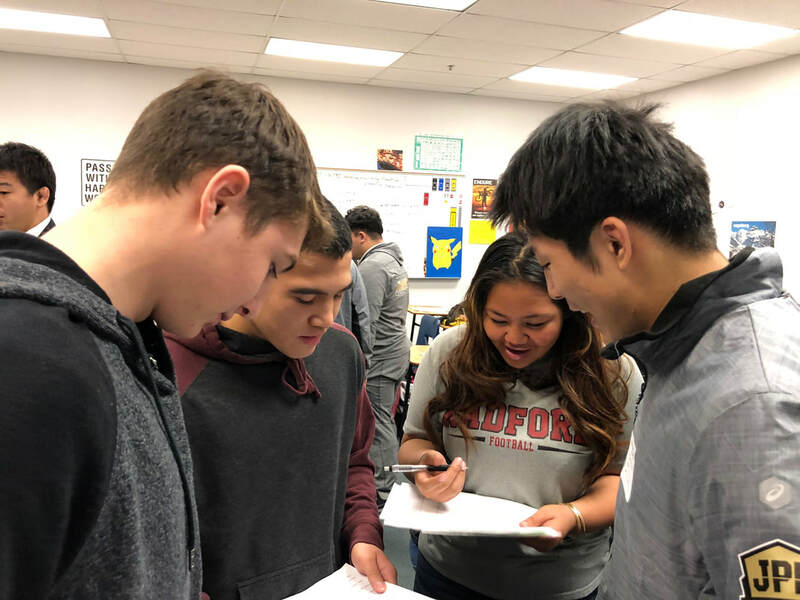 We will be competing at the Cimarron Summer Duels, and the following week we will travel to Pocatello, Idaho to compete in the Western Regional tournament. The goal has always been to wrestle 70 matches in the off-season and some of our wrestlers are well on their way to this goal. Great job Mustangs. The 2016-2017 wrestling year came to an end as the Mustangs held their annual banquet Thursday night. It's always tough saying goodbye to a great group of Seniors. 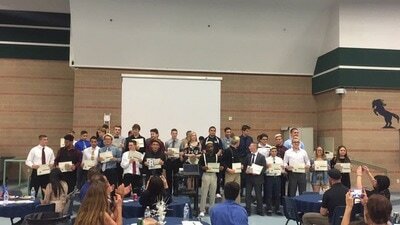 A number of them have been with our program for 4 years. They are truly going to be missed. The younger wrestlers are expected to step up and assume leadership roles for the team. The Mustangs are excited for these next several years to come as some great younger wrestlers are coming through the program. Although we lose our State Champion in Alika Villiatora, we had 4 wrestlers place first at the JV Zone Championship Tournament. This years Mustang Award winner went to Alika Villiatora. 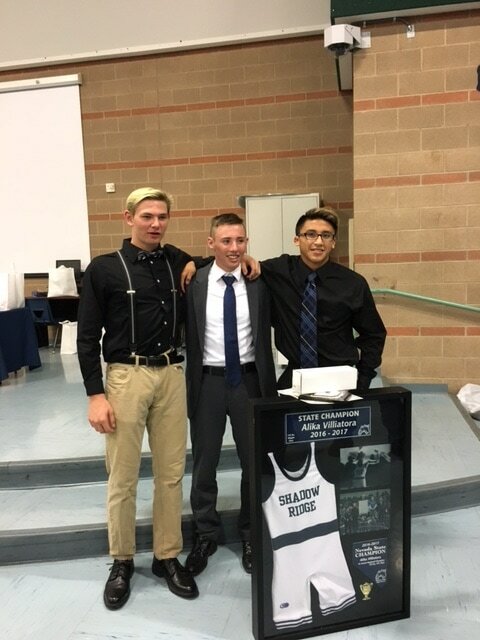 The Mustang Award is for Shadow Ridges top wrestling athlete. It combines everything that you expect in a leader. 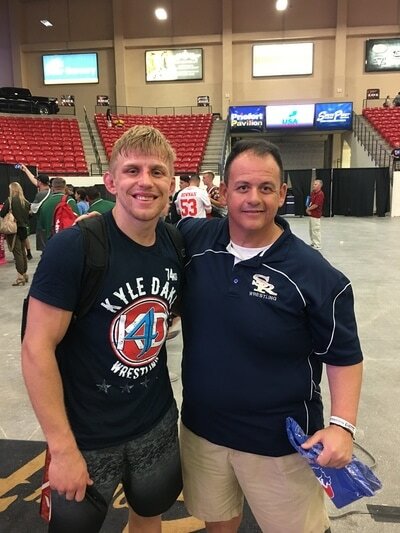 Not only does it go to a great wrestler, it goes to a wrestler who gets it done in the classroom, is a model citizen, and a role-model for future Mustangs. The MVP Award went to Jamison Rand. Jamison place 3rd at the State Meet and was an integral part to the Mustang Line-up. The Tough Man Award went to Marc Williams. Marc took on all comers at 160lbs and 152lbs. throughout the year. His physical style of wrestling made him a unanimous coaches choice for the award. 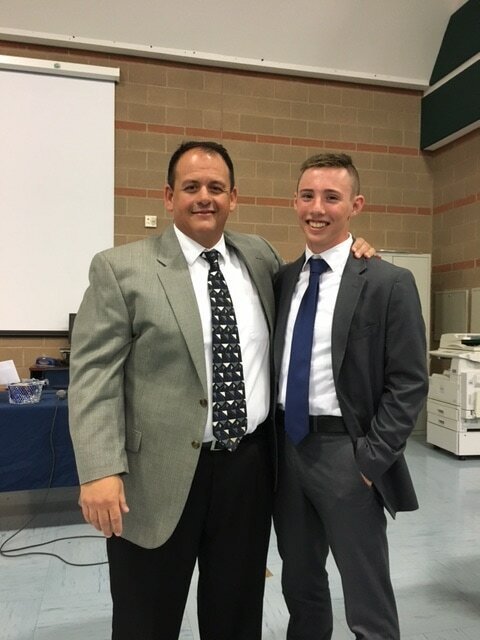 Jarret Gledhill earned the Courage Award. The Courage Award is named after former Silverado High School Wrestler Matthew Hennigan, who coach Gledhill had the pleasure of coaching during his Silverado days. Matthew paid the ultimate sacrifice for his Country as a member of the Army. He was killed while on patrol in Afghanistan. 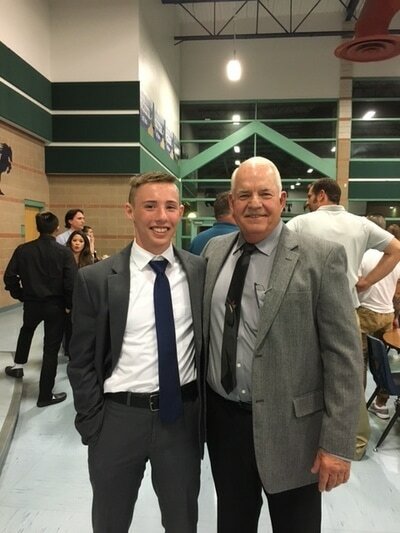 Before serving in the Army, and on his way to the state tournament, he had a conversation with Coach Gledhill about wanting to serve his Country. Matt stated to coach that he would gladly give up his life for his Country. His courage and pride is something that we want all of our wrestlers to strive for. Last January, Jarret tore his ACL and had season ending surgery. 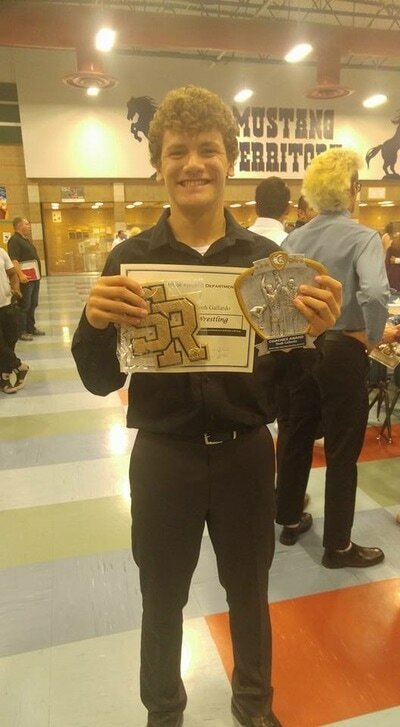 He came back in time through hard work and dedication after 9 months to play football, and wrestle this year. 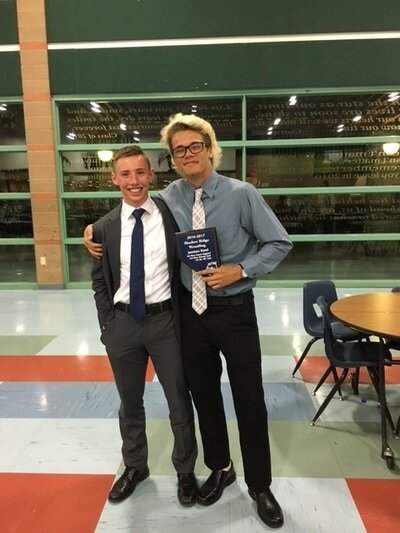 Most improved Varsity wrestler went to Weston Presser, who improved dramatically throughout the year and became a State Qualifier. 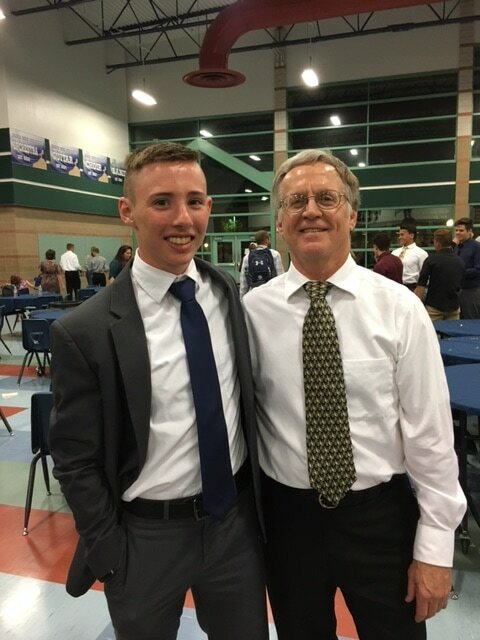 David Word earned the Brainiac Award due to having a GPA over 4.7. 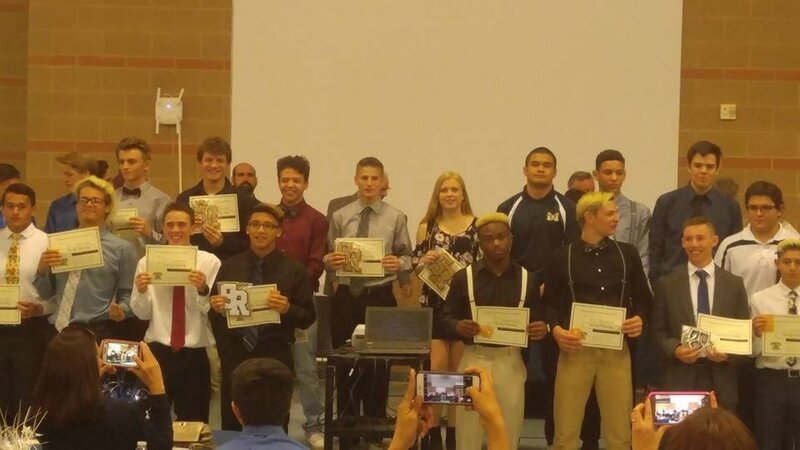 Earning Coaches Award's were Noah Gallardo, Michael Bellotte, Jake Anderson, Kody Presser, and Byron Kekahuna. Their hard work did not go unnoticed throughout the year. The JV MVP went to Triston Curtis who went undefeated on the year, weighing 106lbs, but wrestling at the 113lb division. The prospect awards were given to Riley Houston, Ian Cullison, and Ethan Walker. Please take time to check out this years highlight video. 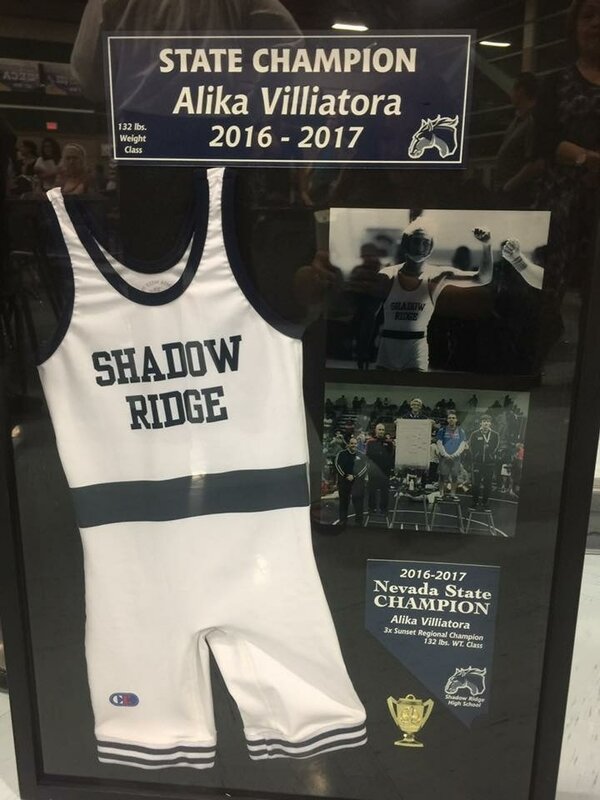 After being a 3x Regional Champion, Alika Villiatora won the Nevada State Championship Title, at the 132lb weight class, as he beat David Montes from McQueen High School in the finals by a score of 9-2. To get to the finals, Alika started off with a win in the quarterfinals against Tyler Green of McQueen, by beating him 5-0. 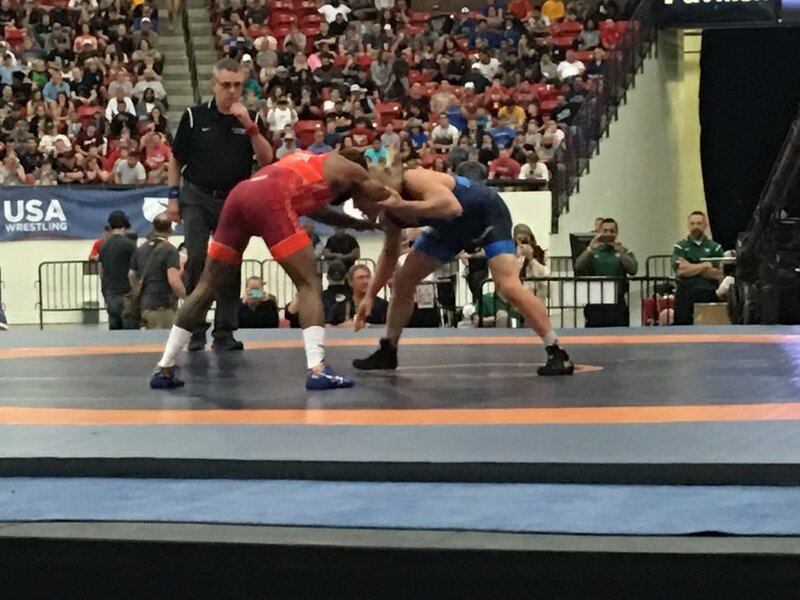 Then, one of the best matches of the whole tournament took place in the semi-finals against Justus Scott of Green Valley. 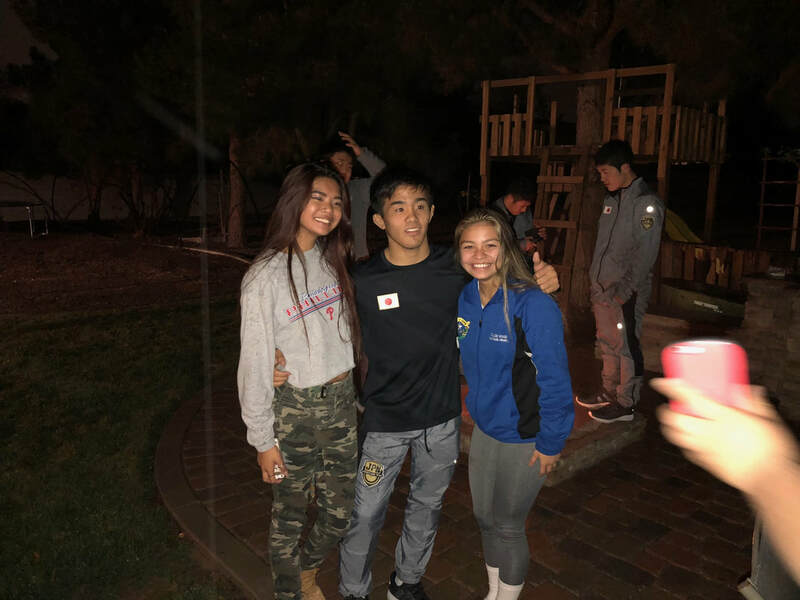 In a battle that lasted double overtime, Alika scored an escape with seconds remaining, after not giving up an escape when Justus chose down to win the match 2-1. It truly was a battle to end, as both attempted take down after take down, and both defending and being unable to score. Alika is the fourth State Champion in Shadow Ridge's history. " 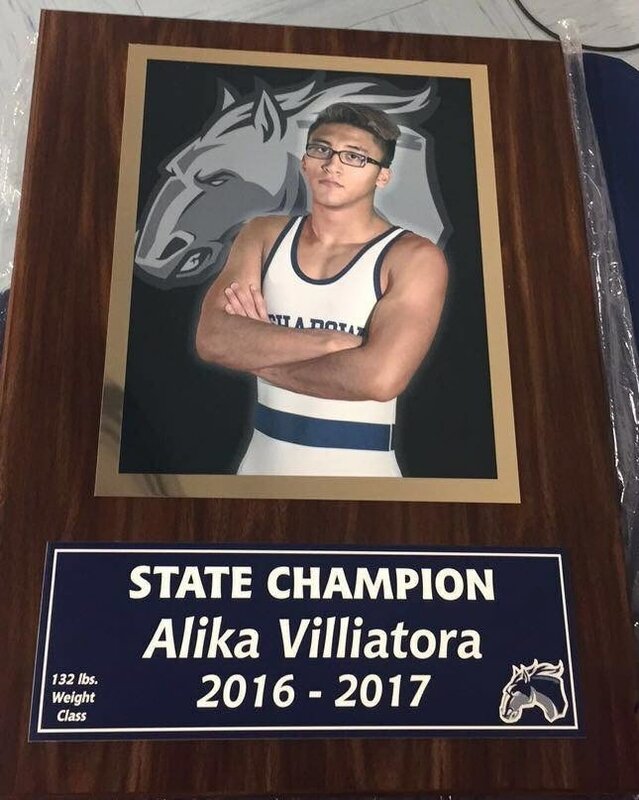 If anyone deserves to be called a State Champ, it is Alika Villiatora. He has been a machine these last 4 years. Because of his work ethic, he has beaten many other wrestlers who have years of experience on him." Coach Gledhill stated. 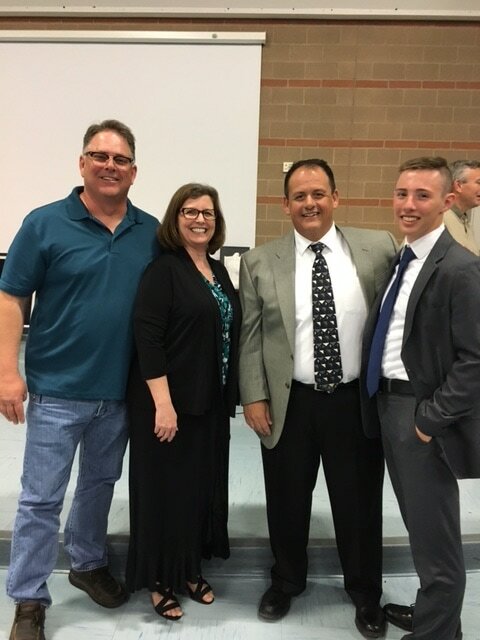 "The Coaching staff of Shadow Ridge High School, as well as its Administration could not be more proud in how he represented his school, team, and family." The Mustangs placed 7th at the NIAA State Championship meet with 4 of 5 wrestlers placing at the Tournament. The Mustangs were led by its newest State Champion in Alika Villiatora who beat David Montes of McQueen by a score of 9-2. Jamison Rand placed 4th by beating Connor Pearson of Reno, by earning a Major Decision with a score of 12-1. 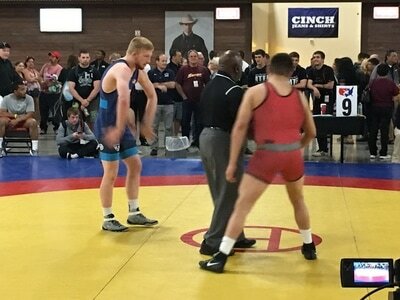 This was the same Conner Pearson who beat Jamison last year at the State meet in Las Vegas. Javier Zuniga and Marc Williams placed 4th. Weston Presser, who is a freshman, gained some valuable experience being at the tournament. He, along with Marc Williams who is a sophomore, will be back next year. The Mustangs placed second at the Sunset Regional tournament placing 8 wrestlers and qualifying 5 for the State Tournament held in Reno this coming week. 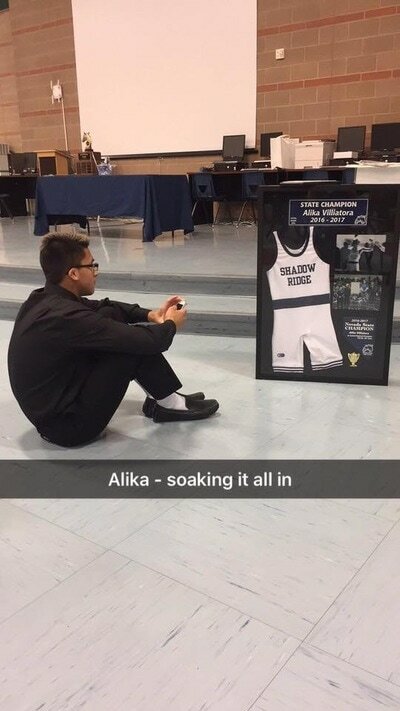 Alika Villiatora (132lbs.) earned his 3rd Region title by pinning Durango's Ethan Slater at the 5:27 mark of the 3rd period in the Championship match. Javier Zuniga (106lbs.) won his first Region title by beating Lance Crespo of Cimarron by a score of 7-2. Freshman Weston Presser (113lbs) and Sophomore Marc Williams (160lbs.) both placed 2nd in the tournament, and Jamison Rand (145lbs.) placed third. Placing 4th for the Mustangs were Nate Washington (138lbs. ), Jarret Gledhill(182lbs. ), and Luke Sadosky (220lbs.). Congratulations Mustangs on your effort and go tear it up at State. The Varsity team traveled to Florida during the Winter break and participated in the KSA Pre-Holiday Duals. They wrestled teams from Virginia, Florida, and Wisconsin. The Mustangs started off with Reedsville, WI in their first match of the tournament defeating them 38-30. Jarret Gledhill, Javier Zuniga, Weston Presser, and Jamison Rand had pins for the team. They then beat Boca Ciega, FL 74-6, Orange Park, FL 51-27, and Plant City, FL 72-2. On day two of the Tournament the Mustangs started the day off in the semi Finals wrestling James Madison from Virgina. They won the match by a score of 57-12. This put them in the finals and another match against Reedsville. This time around Reedsville got the upper hand and the Mustangs lost 35-31 in a closely contested and physical match that went back and forth. Javier Zuniga earned MVP honors for the tournament by pinning every opponent. Then the Mustangs enjoyed 3 days at the parks and had a blast. 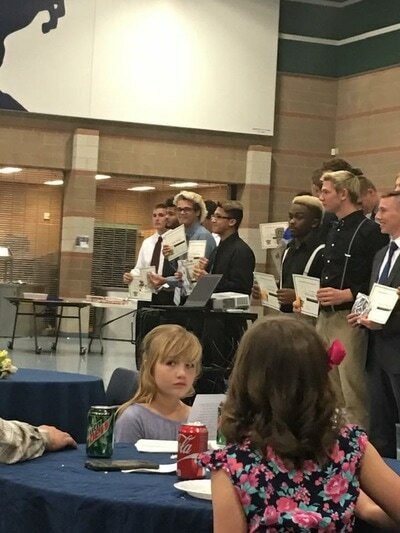 It was a time that these kids will remember for the rest of their lives. Next big tournament will be in a couple years where the Mustangs will be headed to wrestle on the Hawaii Islands.